Charlton Heston drives a convertible contentedly down a deserted city street in the day-time. He sees a flash of movement from a building, stops the car and opens fire at the upper window with a machine-gun. And so begins the nightmare tale of the future: The Omega Man. Directed by Boris Sagal for Warner Brothers, the film was based on the novella ‘I Am Legend’ by Richard Matheson. In the story, the world is ravaged by a plague spread by vampirism, but as the co-adapter Joyce Corrington (with partner John William) had a scientist’s background, she elected to have disease be disseminated by the more chillingly possible germ warfare following war between Russia and China. Heston is Colonel Robert Neville, a military scientist, with slightly more improbably lantern-jawed heroic capabilities using weapons and his fists. This is no nerdy lab guy. He makes a likeable hero though, which is vital as for the entire first act he is pretty much the last healthy human alive and must plough a lonely furrow in his daily life of driving around, looting the stores of supplies and going to the cinema to screen himself Woodstock for the umpteenth time. He recites dialogue along with the band members interviewed on screen and mutters “They sure don’t make pictures like that any more”. He realises on leaving that it is nearly dark and races back home to his secure bolt-hole just as he faces attack from fire-bombs and physical violence from a curious collection of foes. The world’s predilection for conflict left an infected population that has mutated through three stages, the worst symptoms of which are albinism and a form of blindness in the eyes. The victim develops cataracts, an awful grey pallor to the skin and over-sensitivity to the light, which is why Neville’s plague-ridden enemies come out at night. They dress in monks’ ceremonial robes, wear shades and call themselves the Family, a sect lead by the urbane Anthony Zerbe as Matthias. Intriguingly, the film gives them a positive spin on their condition. They have turned their curse into a radical luddite philosophy, shunning all who serve ‘the Wheel’ of contemporary science and technology, the elements that created this post-apocalyptic living hell with “The tools that destroyed the world”. They taunt Neville nightly outside his apartment, determined to eliminate the last symbol of the old world in human form with torches of fire. “Nothing cleanses quite like fire”, declares Matthias with messianic fervour. Anyway, fortunately for Neville, his dull solitary existence of soliloquising and playing chess against an inanimate bust of Caesar is soon enlivened by the discovery of other humans in the area, unknown to him and the Family. This comes after a flashback where we see him survive an impossibly fatal helicopter explosion that he walks away from – the indestructibility of El Cid almost knows no bounds. The band of other healthy survivors are led by the personable Rosalind Cash as Lisa, her friend Dutch (Paul Koslo) and a band of children in their care. Cash was a very conscious timely choice by Joyce Corrington, an element of ‘racial pizzazz’ as she called it. In an era that saw the rise of the Black Power movement they wanted a bold black heroine who embodied resourceful qualities and made an attractive developing love interest for Heston’s character. Since Neville knows he is immune to the plague bacilli he is able to concoct an antidote using his own blood, which he firstly uses successfully on Lisa’s brother Richie (Eric Laneuville). However, he cannot save everyone and in a shocking twist Lisa becomes infected and one of the Family. She subsequently sells Neville out and joins them. In a climactic battle, Neville is symbolically speared crucifixion-style outside by Matthias as he tries to take Lisa away. His final act as he dies is to give the bottle of the remaining serum to Dutch. 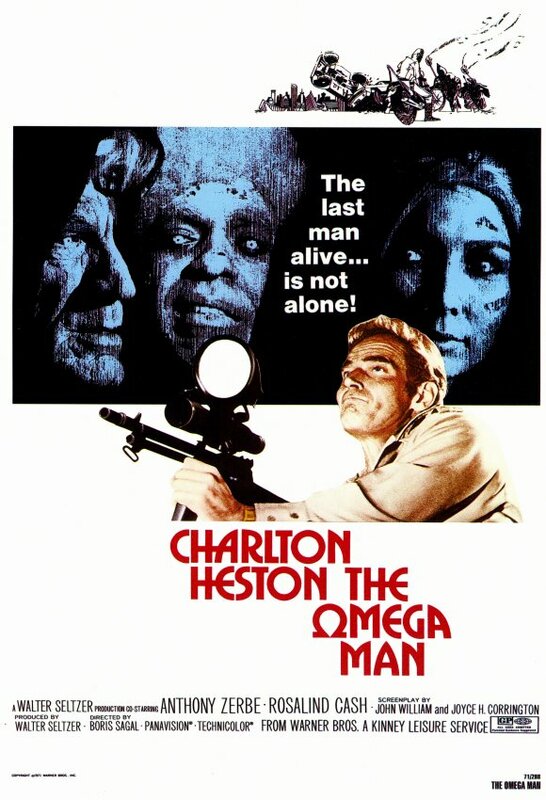 The Omega Man is entertaining and imaginative. The terrorist germ warfare threat hasn’t dated in the intervening decades; In fact the anxiety has increased if one recalls not only the global threat of WMDs but more isolated cases such as Japan’s Aum cult and their Sarin gas attacks on the Tokyo subway. It also posits a credible thoughtful possibility of how parts of a society adapt to necessary re-birth. 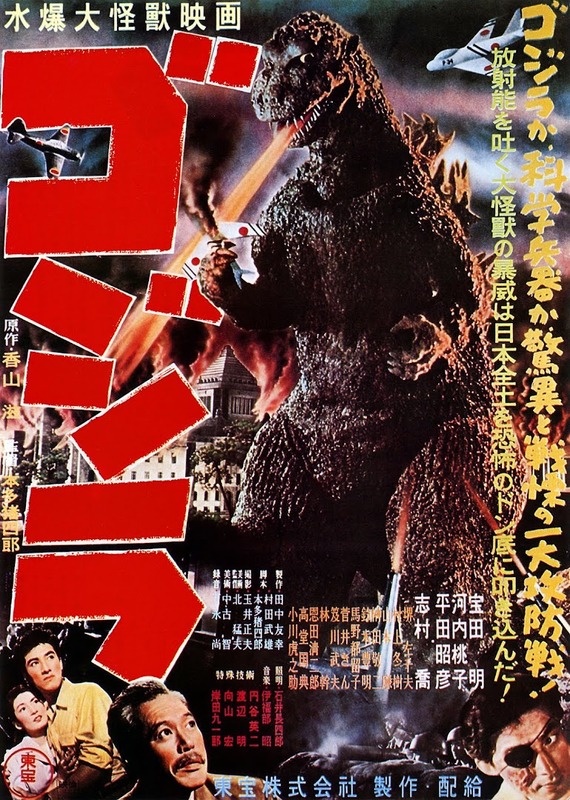 Equally, the movie has a flavour of the 1970s present, reflecting the emerging Blaxploitation genre in its casting of Cash, Laneuville, and the albino black Family actors as well as Ron Grainer’s lush score which combines romantic yearnings with a hip funk edge, very much an early 70s soul vibe in places. The Omega Man is regarded by some as part of the Black Cinema trend of that time. Heston’s old-school Hollywood leading-man appeal is neatly reminiscent of the values of the pre-ravaged world but still with an impressive energy and vitality. In the vintage featurette made by Warner Brothers, Heston brought Dr Ashley Montague, a famous anthropologist, to the set and discussed the film’s themes of individual and tribal survival with him. At one point, Heston picks up a machine-gun and offers his own take on man’s methods of achieving/re-establishing this dominance. Fittingly for someone who would become so identified with the pro-gun NRA movement, he describes the modern weapon of his character as “The ultimate extension of man as a killer ape”, a knowing reference to his recent famous central role in the similar future-shock Planet of the Apes . It’s interesting to note that within a period of just a few years (all within my writing’s focus), Heston appeared in three different dystopian science-fiction future movies. As well as the aforementioned two, there was the frightening Soylent Green with its moving scene of him and Edward G Robinson being shown a film montage of the natural beauty of old-world Earth. For an actor who espoused controversial traditional ‘frontier’ values, he was also very willing to be involved with pacifist projects that warned of the consequences of our increasingly warmongering ways. (He marched alongside Martin Luther King on the day Dr King made his immortal ‘I have a dream speech’). Being allied to the unforced peace message of THE OMEGA MAN is to his credit.